Contrary to recent news reports of solar-powered smart watches, Apple has confirmed that it will stick with lithium-ion batteries for its upcoming iWatch. These batteries are to be supplied mainly by Samsung SDI, LG Chem and Tianjin Lishen Battery, according to industry sources. This means the local manufacturers would be providing products for Samsung’s largest rival. “Apple will utilize LG Chem’s stepped battery since it offers better longevity than others and can be applied for different shapes,” a source said, declining to be identified. LG Chem had said in an investor relations meeting last month that it would expand its presence in the premium mobile market with its stepped and its curved batteries, which were unveiled last year along with a cable battery. LG Chem and Samsung SDI both declined to comment on the supply deal. Another source said efficiency was the main reason why lithium-ion batteries were chosen over solar energy. “Since the energy efficiency of solar-charging technology is one-tenth of the lithium-ion battery, it doesn’t make sense to run a gadget with solar power,” he said, adding that the solar panel could be used as supplementary power at best. 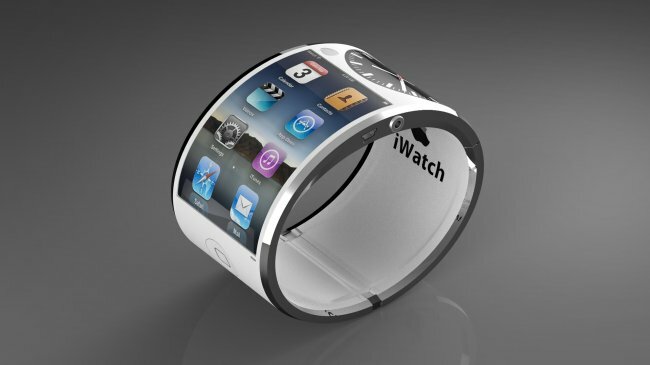 The iWatch is expected to be released in the latter half of this year. The smart watch was also unlikely to sport a curved screen, according to industry watchers who believe there would be no point in making a curved screen that would be at most 2 inches wide. A curved display may also put strain on the wearer’s wrist if worn for a long time, they said. Meanwhile, most smart watches expected to be released this year including those of Apple, Samsung and LG will be equipped with an organic light-emitting diode display. Samsung Electronics is planning to release its Galaxy Gear 2 smart watch as early as this month along with its flagship Galaxy S5 smartphone at Mobile World Congress 2014, scheduled to be held in Barcelona from Feb. 24-27. LG Electronics’ much talked-about upcoming smart watch is also expected to adopt the stepped battery and the OLED display as well. Its prototype is said to be already being tested, and LG Electronics is mulling the release date, according to sources.